“The work that James and Sentinel have delivered with us has been exceptional. His knowledge and expertise brings to the FM table the most up to date technologies and ideas in relation to SKA, BREEAM, Energy usage, Energy Cost Savings, Building Efficiency and Environmental innovation. His connections and experience make working with him a pleasure and his never ceasing quest to deliver the brightest and best solutions to me as his client, make the journey exciting and fulfilling.”Fiona Bowman, Head of Facilities, Lloyds Register. 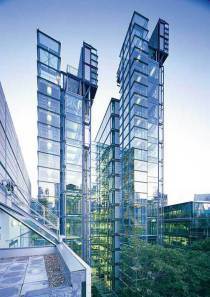 In 2012 Sentinel were appointed by Lloyds Register to advise on Sustainability across their UK estate. This included their landmark Richard Rogers designed headquarters building in the City of London, 71 Fenchurch St.Our scope included streamlining all their consumption data gathering to better support their CRC reporting obligations as well as establish opportunities to significant reduce their Carbon footprint.